Katie English recently posted on the Dawson Community Garden Facebook page reminding us that it’s time for planning the coming season’s planting. As January is upon us, so too is the gardening season. The New Year marks the time for getting your plans and dreams in order. Seeds are selected and ordered, gardens get planned and it is even the month for some of our earliest starters. If you are anything like Katie, then seed variety and quality is of utmost importance. For a seed is where it all begins …. Seeds can be the carrier of many of the diseases we find later on our grown plants or starters, furthermore poor quality seeds can mean poor quality germination, so quality is important. Katie is big on heritage and heirloom seeds. She looks for high quality organic seeds so she can later save the seeds she obtains from her own growing for the future. Katie likes to know the long history of the seed and how it was saved over generations, and looks for interesting varieties that you can’t find in the grocery store. She also supports the small companies that are working hard to save our heirloom varieties and to produce organic seeds. She points out that 60 per cent of the world’s seeds are owned by big chemical companies and avoids those seeds makes sure she does not support those corporations. Monsanto, and a handful of other corporate biotech giants, such as Pioneer and Syngenta, have been using their profits to buy up small seed companies, acquiring more than 200 over the past 15 years or so. They are doing so to dominate the seed market, not just by owning the source, but also to acquire the DNA of heirloom and open-pollinated seed varieties for use in their future GMO products. Most of the advantageous plant traits that megacorporations like Monsanto boast about bioengineering, such as drought tolerance, higher yields, or resistance to insects, are in fact the result of traditional breeding over many generations to produce superior seeds. Once the acquisitions are finalized, however, these biotech corporations can splice in their own modified proprietary genes, and patent the resulting seeds. For those looking for organic or non-GMO seeds, here is a list of seed companies who have taken the safe seed pledge as presented by the Council for Responsible Genetics. Scroll down to see the list of Canadian companies. The most notable thing about this photo is not that the pepper plant is dying – this is not an uncommon occurrence with houseplants under my care. And it is December, the month of low light in the North. The most notable thing about this photo is that there is a pepper! In December, in the Yukon! And this pepper was grown from a local seed! As I ate local farmer, Grant Dowdell’s, delicious red peppers way back in the summer of 2017, I saved some of the seeds and stored them in an envelope over the winter. I didn’t get around to planting them until midsummer 2018, so the pepper plant was just starting to flower in the Fall when it was time to shut down the greenhouse. Rather than give up, I moved the pepper plant indoors. And, low and behold, a pepper grew! I was inspired by Dawsonite, Meg Walker, who last winter managed to get a pepper plant to flower and produce little peppers in her windowsill – quite a feat this far North. I am very proud of this little red pepper. It reminds me of both the resilience and the importance of a simple seed – the starting point in the food chain. There are many aspects to becoming more food self-sufficient in our own communities. The cornerstone is our ability to save and re-grow our own seeds. In an era where technology is considering the production of ‘sterile seeds,’ my red pepper reminds me how devastating that concept would be. If we can’t save our own seed, what hope is there for global food security? Home-grown barley already waist high by July 7th. Photo by Tess Crocker. “Knee high by the fourth of July” is a farmer’s refrain south of the 49th Parallel – predicting a healthy crop of grain. So waist high by the 7th of July is looking pretty good up here at 64 degrees north! Inspired by Miche Genest’s post “Back Yard Grain Growing in the Yukon – the Logical Next Step”and Kokopellie Farm’s success in growing grain in Dawson, I decided to give back yard grain growing a try. My experience last Fall taught me that hulling grain is no easy feat. In fact sometimes, as is the case for oats and buckwheat, it is virtually impossible for a home gardener. Therefore I was thrilled that Salt Spring Seeds carries hulless varieties of grain. After consulting owner Dan Jason, I decided to try Faust Barley (hulless) and Streaker Hulless Oats. And look how well they are doing! Hulless Faust Barley. Photo by Suzanne Crocker. Gardening has never come easily to me. I struggle to grow brassicas while the local farmers produce them in abundance. This year I decided to try my luck growing edibles that are not so easily found at our local Farmers Market. My raised beds are hosting oats, barley, amaranth, Tom Thumb popping corn and onions. The onions are not looking so good but, so far, the rest seem to be growing well. Streaker Hulless Oats. Photo by Suzanne Crocker. With the idiosyncrasies of our short growing season, grains have often been difficult to grow in the North. Perhaps as a result of climate change, perhaps due to hardier cultivars, it seems that in the past few years growing grain is becoming more feasible. So it is a good time test out the possibilities of back yard grain growing in the Yukon! Fingers crossed that local barley and local breakfast oats will be on the menu in our house next year. It’s planting time once again. For best times to plant seedlings in the North, check out Grant Dowdell’s Seed Guide. Grant is a long time farmer in Dawson with over forty years of market gardening experience in the North. He has generously shared both his favourite cultivars and the best time to start them indoors for a Yukon growing season. Sugar beets can be turned into sugar (in jar, at left) or syrup (right). Photo by Suzanne Crocker. I love birch syrup and am grateful to Sylvia Frisch and Berwyn Larson who are raising their two daughters in the bush and producing birch syrup commercially. During the past 4 ½ months of eating only local foods, we have consumed 24 litres of birch syrup. I have discovered that the flavour of birch syrup alone can substitute for the ‘far east’ spices of cinnamon and all-spice. I have even been known to down a shot of birch syrup, straight up, during those moments when, in a previous life, I would have grabbed a piece of chocolate – to get me through a moment of emotional or physical despair. I also love David McBurney’s local honey – it is pure, delicate, and divine. And it is treated like a delicacy in the family. It also makes the perfect sweetener to enhance other delicate flavours that would be overpowered by the robust flavour of birch syrup. But there are times, especially in baking, when chemistry is required and a liquid sugar option just doesn’t do the trick. Now that I have local flour, and Christmas is coming, baking is on my mind. So what to do when crystalized sugar is required? Birch syrup, unlike maple syrup, does not crystalize. I learned this last April while visiting Birch Camp. So, with birch sugar no longer an option, I ordered GMO-free sugar beet seeds. I have never had any luck growing regular beets, so I recruited others to grow the sugar beets for me – the great gardeners Paulette Michaud and Becky Sadlier. Unbeknownst to me, long-time Dawson farmer, Grant Dowdell, also had my year of eating local on his mind and ordered non-GMO sugar beet seeds to see if they would grow in the north. The sugar beets grew marvelously for all, confirming that they are indeed a reasonable crop for the North. They like warm days and cool nights – perfect for a Dawson City summer. I ended up with 350 pounds worth to experiment with! Sugar beets contain approximately 20% sucrose, the same sugar found in sugar cane. One quarter of the world’s refined sugar comes from sugar beets. In Canada, Taber, Alberta is the industrial hot spot for growing and processing sugar beets into sugar. On a commercial scale, lime (calcium oxide) and carbon dioxide are added to form calcium carbonate which solidifies and pulls out any impurities – thus resulting in familiar white sugar. No such additions for a local home-made sugar, so the resulting sugar is brown with a richer taste. In the process, I have also discovered the wonder of the sugar beet – a root vegetable that was previously unknown to me. Sugar beets are often touted as a food for livestock or a green manure crop so I was expecting the taste of the sugar beet itself to be unpalatable. But it is just the opposite! Cooked up, it is a delicious, sweet, white beet. The sugar beet leaves are also edible. And amazingly, even after the sugar is extracted, the sugar beet pulp remains sweet and delicious. I’m afraid the local Dawson livestock will be getting less sugar beet pulp than previously anticipated this year. One thing is for certain – processing sugar beets into sugar requires time and patience. Here are my step-by-step instructions on how to make syrup (easy) and sugar (difficult) from sugar beets. Sugar was first extracted from sugar beets in the mid 18th century. In the early 19th century, during the Napoleonic wars when French ports were cut off from the rest of the world, Napoleon encouraged wide-scale sugar beet production and processing. France remains one of the world leaders in sugar beet production and most of Europe’s sugar comes from sugar beets, rather than sugar cane. Consider adding non-GMO sugar beet seeds to your next seed order. In Canada, they can be found from Salt Spring Seeds and from T&T seeds. Sugar beets grow well in the north and are a delicious root vegetable in their own right. But don’t throw out the water you cook them in, as this water is sweet and can easily be used to make beet syrup and beet syrup candy. And, if you are brave, sugar! If you live in an area populated by deer, be warned that sugar beet tops are a great attractant for deer. Word is now out to the Yukon moose so perhaps next year Dawson’s sugar beet rows will require fencing! The Purple Star Hybrid peppers growing on the vine. Photo by Suzanne Crocker. We have posted previously about some of the unique things Louise Piché has been able to grow in Rock Creek, Yukon, just outside of Dawson City. including ginger and tumeric, asparagus, and ground cherries. This year, Louise experimented with growing purple peppers, and reports they grew really well. These plants — a sweet pepper variety — are purple on the outside but white on the inside and very tasty. The seed variety she used was the Purple Star Hybrid from William Dam Seeds (65 days to maturity). Purple on the outside, these peppers are white and sweet on the inside. Photo by Suzanne Crocker. But there were more interesting things growing in Louise Piché’s greenhouse this year. A white pumpkin! Despite its long days to maturity in a short growing season, the pumpkin is doing quite well in a Dawson greenhouse. The plant is of the New Moon variety from Veseys Seeds. It takes 100 days to grow to a final size of 25 to 35 lbs. To see the specific varieties of fruit and vegetables that one of Dawson’s great home gardeners has had success with, download Louise Piché’s Seed Guide. The New Moon white pumpkin growing in a Dawson greenhouse. Photo by Suzanne Crocker. Some rookie mistakes have cast a cloud on Suzanne’s plans to add sunflower seeds to her local diet. Right now Suzanne is feeling more like a “green horn” than a “green thumb.” Normally, sunflower seeds from the Mammoth Russian Sunflower are know for growing huge 8- to 14-inch heads, packed with seeds. Suzanne was hopeful that she could get them to grow in Dawson with enough time to go to seed. Facing a year without nuts, sunflower seeds were her hope for a local seed. And, in theory, if one grew enough perhaps some oil? Don’t Judge a Vegetable By Its Cover! Another tasty, although not so pretty vegetable that grows well in the Yukon is the root called salsify. Don’t let the hairy dark exterior intimidate you. Peel it, and it tastes similar to a very sweet parsnip, and you can eat it raw or you can cook it as you would cook most root vegetables. Salsify might not be easily found in the average grocery store, but it actually grows wild in many places in the world, especially the Americas. But not everything is under the ground: the flowers from the salsify root are gorgeous to look at, and also edible! The shoots can be used like asparagus, either raw or cooked, and the flowers can be added to salads. Early Leafy Greens in a Cold April Greenhouse? Take advantage of your greenhouse in April and May, before you plant your tomatoes and cucumbers, to give you an early crop of spinach or Asian greens! Riley Brennan, of Dawson City, direct seeds spinach in her greenhouse as soon as the soil thaws in April. She leaves the greenhouse unheated and the seedlings don’t require any covering. By the time she goes to plant her greenhouse proper in late May, she has a crop of baby spinach to harvest. Next weekend, Dawsonites will have a chance to participate in two amazing workshops! Seedy Saturdays will be held on Saturday March 25th at the Recreation Centre, and it will include presentations by Karen Digby and Grant Dowdell about northern gardening and by Scott Henderson about mushroom cultivation. 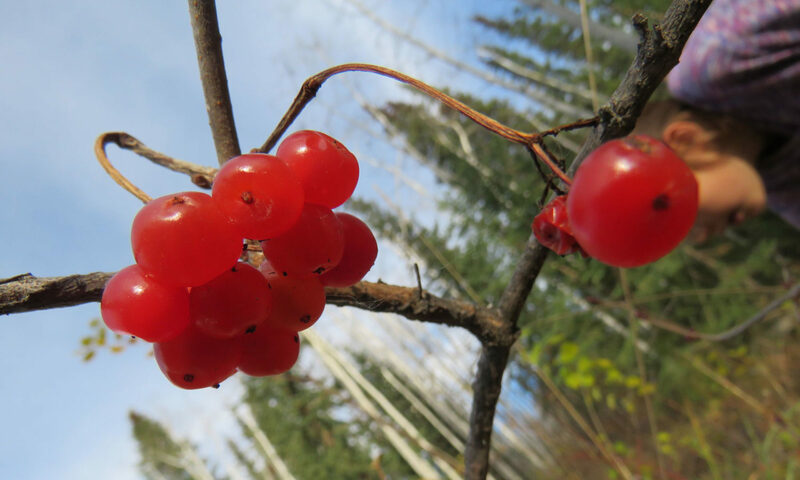 The following day on Sunday the 26th, there will be a Birch Syrup workshop in which participants will meet at the Rec Centre and then go hunting for Birch sap. There are limited spaces on both, so make sure you sign up soon! Peanuts and Ground Cherries Growing in the North! If there is something exotic you wish to grow in the North, ask Louise Piché of Rock Creek, Dawson City, Yukon. Louise is a well known gardener in Dawson and a frequent ribbon winner at Dawson’s annual Discovery Days Horticultural Fair. She loves experimenting with new and colorful varieties. She has successfully grown peanuts and ground cherries (aka golden berries) as well as asparagus, giant pumpkins and buckwheat. Louise has generously shared her ‘tried and true’ cultivars that grow well in Rock Creek, which you can view on our seed page. This year she is experimenting with ginger, turmeric, artichokes and pink potatoes. When you live in a fly-in community in the North, shipping by plane can be very expensive, especially for heavy items such as soil and fertilizer. The people behind the community greenhouse in Arviat, Nunavut, have taken on the very important issue of food security by devising a strategy to grow their own produce. And one of the biggest obstacles they have found is that the local soil lacks nutrients. Commercial soil works fine, but it is costly and it needs to be flown in, which impacts the sustainability of the project. After close to 40 years of supplying fresh local produce to Dawson City, Yukon, Grant Dowdell, a legend in local growing, is retiring. As his retirement gift to the community, Grant is generously sharing some of his tremendous farming knowledge accumulated over 40 years of growing vegetables in the Klondike: Grant and Karen’s ‘tried and true’ seed varieties as well as their planting and harvesting schedule. Let us know your ‘tried and true’ produce seed varieties that grow well in your area. Start Your Tomatoes By Valentines Day!